Five people have applied for the job of GHS baseball head coach, according to people familiar with the situation. They will all be interviewed by Ted Howard over the next few days. The principal is expected to announce his choice by the end of the week. The Bulldogs are scheduled to begin their season with a non-league contest against Mercer Island HS at home on Monday at 4:00 p.m. Their next game is scheduled for Tuesday at home against Sammamish HS at 3:45 p.m.
Mercer Island is fielding a 14-player varsity team that contains six seniors, six juniors and two sophomores. Click here to see its 2011 roster. 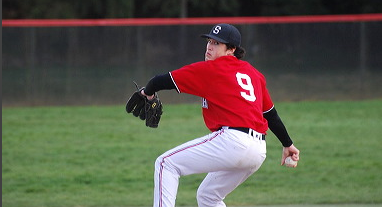 Sammamish, which is in Bellevue, has been a 3A baseball powerhouse for years. Click here to view its website. After one day off, the Bulldogs will travel to Franklin HS for a 3:30 game on Thursday.